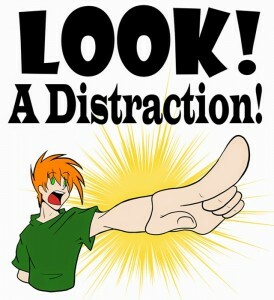 3 Top Ways To Read Online Effectively By Tackling Distractions - Blogger I.Q. Earlier, reading was done using the ‘hard bound’ or ‘Paper back’ books, before the advent of computers. Then, the distractions were little less – as there were no popup advertising inside a book, or a mail notification showing up in the corner of the page nor a ‘related’ content showing up at the end of the page before turning to the next one. However, these are some of the common distractions faced by every one of us while a serious online reading is taking place – a silent conversation between our eyes and the computer screen that shows the content. People like us get easily distracted in this modern age – at the same time there are so many online bookstores with plethora of online textbooks and educational websites. Use Readability plugin for browsers (Google Chrome and Mozilla Firefox) to not to get distracted. This extension is similar to the Reader feature within Apple’s Safari browser. What this does is provide you with a clutter-free version of the same article. If you find any link that is part of the original article you are reading, simply do not go about reading every other hyperlink provided. Right click on the link and open it in new tab or new window to read it later – after finishing the currently reading article. (You can also ‘scroll click‘ or ‘ctrl click’ on the link to open it in new tab). This way you can finish reading the original article you opened in the first place. If nothing works, or you find many articles and webpages to read for the entire day – use an online bookmarking tool to bookmark your site so you can read it from any part of the world. You can also use a free app in Chrome called Quick Note to save texts and links to read later – this is a note taking app which can be used in this way also. This way you can revisit less important ones later. I use this app often. Best of most of the other note taking apps available for Google Chrome. These are the top 3 best practices I follow to have a pleasant reading experience without getting distracted much – or by tackling the distractions in a technologically productive way. Do you have any other tip to have a disturbance free reading experience? What do you do to read articles online without disturbances? Please share your comments below.